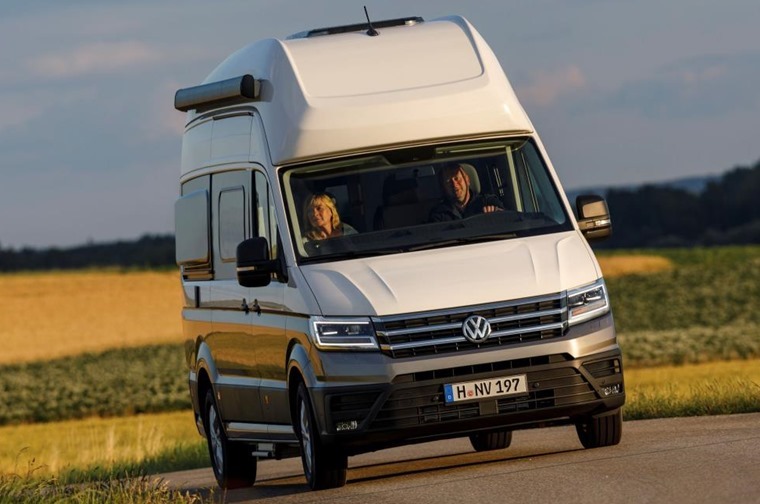 Volkswagen has unveiled its largest motorhome to date – the Grand California. 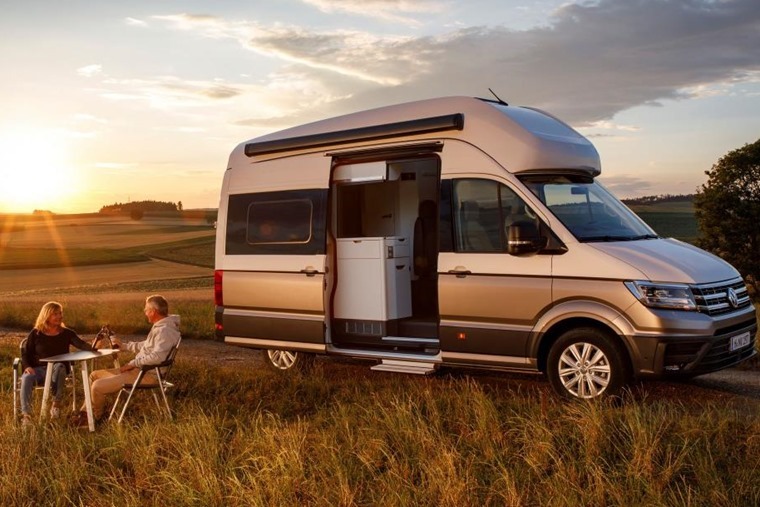 Making its debut at the Caravan Salon in Dusseldorf later this month, it’s based on the latest Crafter. It’s the first Volkswagen camper in the six-metre class, featuring a large sleeping area in the rear, a high bunk bed for children and its own bathroom. 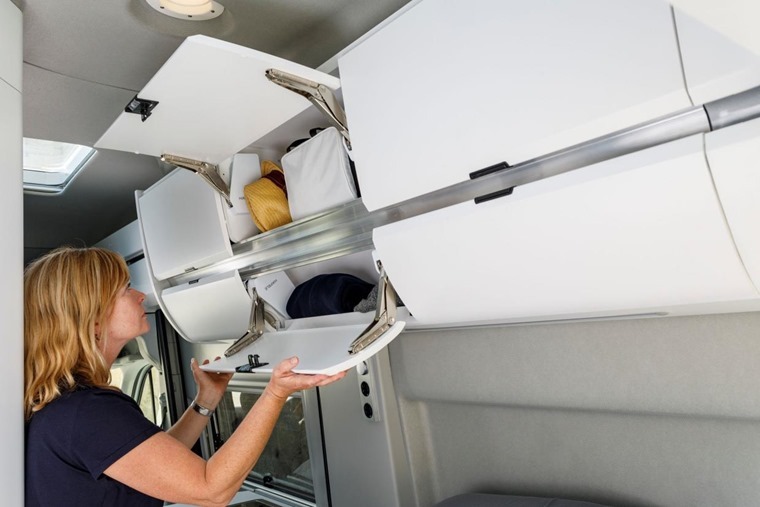 Inside, Volkswagen says the camper features some “cleverly thought-out details” and gets white cabinet trim that creates a “bright, spacious atmosphere". This is boosted by the pop-open camper windows both at the back and on the sides and the large skylights above the double bed in the rear and the living area. All camper windows are fitted with cassette blinds and flyscreens. 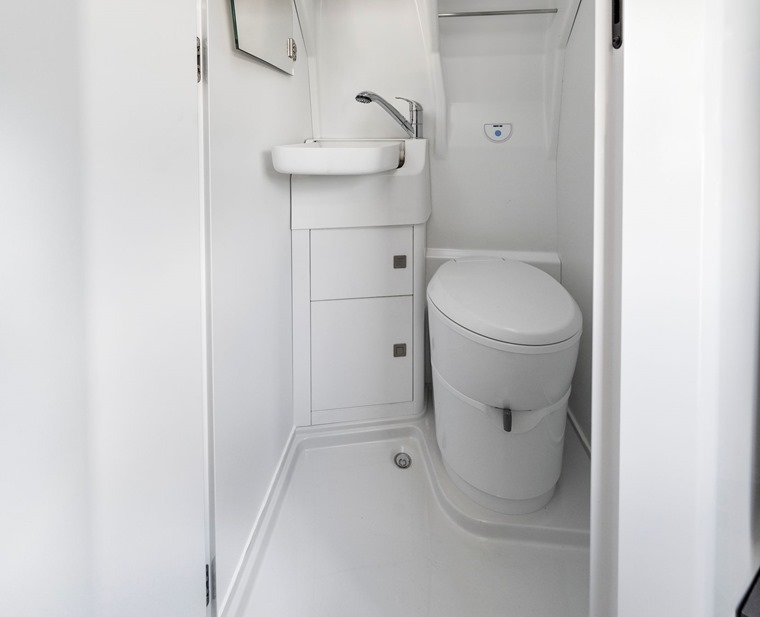 A stand-out feature that sets the new van apart from other Californias is its bathroom that comes complete with its own fold-out basin, shower and toilet. Water capacity for the Grand California is 110 litres. It’ll be available with the same driver aids and infotainment options as the Crafter, including Front Assist surroundings monitoring system with City Emergency Braking function; Lane Assist to help the driver stay in lane; Blind Spot Monitor for changing lane; Rear Traffic Alert; Park Assist for steering into them; Adaptive Cruise Control and the Rear View reversing camera. It’ll also be available with Volkswagen’s 4MOTION all-wheel drive system. We’ll learn more about the Grand California on 24 August when it goes on show in Dusseldorf. Deliveries are set to begin in early 2019.